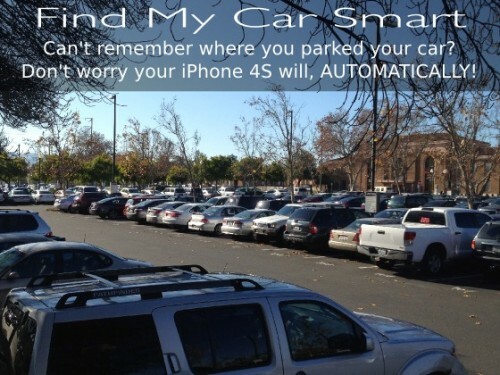 Find My Car Smart App For The Truly Forgetful | OhGizmo! There are a ton of apps that help you find your car once you’ve forgotten where you parked it. They all suffer from a fatal flaw: you have to tell them where you’ve parked as you leave your car. Let’s be honest here: after a while, you’ll also start forgetting to do this. So that’s why the Find My Car Smart app one-ups them all. Using Bluetooth 4.0, the application works with a paired-up USB adapter that shuts off as you turn your car’s ignition off. The program on your iPhone 4S notices this and makes a quick note of your GPS coordinates. If you later can’t recall your spot, launch the app and find out. Yes, you do need an iPhone 4S as that’s the only iDevice that uses Bluetooth 4.0, now known as Bluetooth Smart. The app and related USB dongle and car charger are on the one place where people with good ideas can connect directly with the marketplace: Kickstarter. However, the funding goals have been more than reached and you can get yourself the entire kit for as little as $30. Shipping in January 2012. Awesome app for those especially crowded mall parking lots!